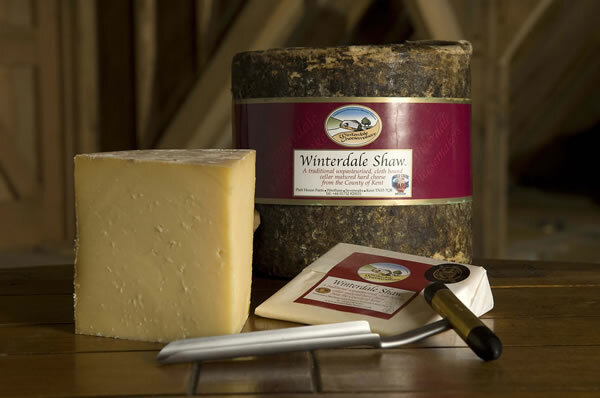 The Winterdale cheese dairy is housed in a traditional oak framed barn located at the head of a picturesque valley on the North edge of the family farm, which old local maps identify as ‘Winterdale Shaw’. Family Farming provenance, farming in Kent since 1495 = Support truly British farming at it’s best. We only use our own family farm’s wonderful unpasteurised milk = Gives an amazingly rich, long and characterful taste. GOLD in both World and British cheese awards = An assurance of quality. Carbon Neutral production = Help our planet for the future generations. British Cheese Awards Juliet Harbutt “Very Moorish” = Independently agreed seal of approval! Fortnum & Mason, The Goring Hotel, Royal Ascott, Wimbledon, Six Nations Rugby, OXO Tower, Gordon Ramsay Restaurants and many more.